Engine can be identified by the 4th character of the Vehicle Identification Number (VIN). The VIN is stamped on a plate attached to top left corner of instrument panel. NOTE: When performing tune-up procedures described in this article, the following notes and precautions must be followed. Due to late changes and corrections, always refer to Emission Control Label in engine compartment before attempting tune-up. If manual and label differ, always use label specifications. EPA High Altitude emission standards apply to vehicles sold in certain areas outside California which have an elevation above 4000 feet. When performing tune-up on vehicles equipped with catalytic converter, do not allow or create an engine misfire in one or more cylinders for an extended period of time. Damage to converter may occur due to loading converter with unburned fuel. Test compression with all spark plugs removed, throttle plates and choke valve wide open and engine at normal operating temperature. Crank engine through at least 5 compression strokes before recording reading. Do not puncture spark plug wires with any type of probe. Remove spark plug wire and check resistance with an ohmmeter. All models are equipped with hydraulic lifters, which should be adjusted to zero lash. Remove ignition coil wire from coil and distributor cap. Check terminals for corrosion and clean if necessary. Check coil wire resistance. Replace wire if resistance is excessive. All models are equipped with a Renix solid state ignition module. Renix system uses a TDC sensor mounted near the flywheel. The distributor consists of a cap and rotor. Its only function is to distribute high voltage to appropriate spark plug. No adjustments are required on either system. NOTE: No adjustment is possible on models with Renix ignition. NOTE: Adjust ISC motor plunger only after replacing ISC motor. 1) Remove air cleaner, turn off A/C (if equipped) and warm engine to normal operating temperature. 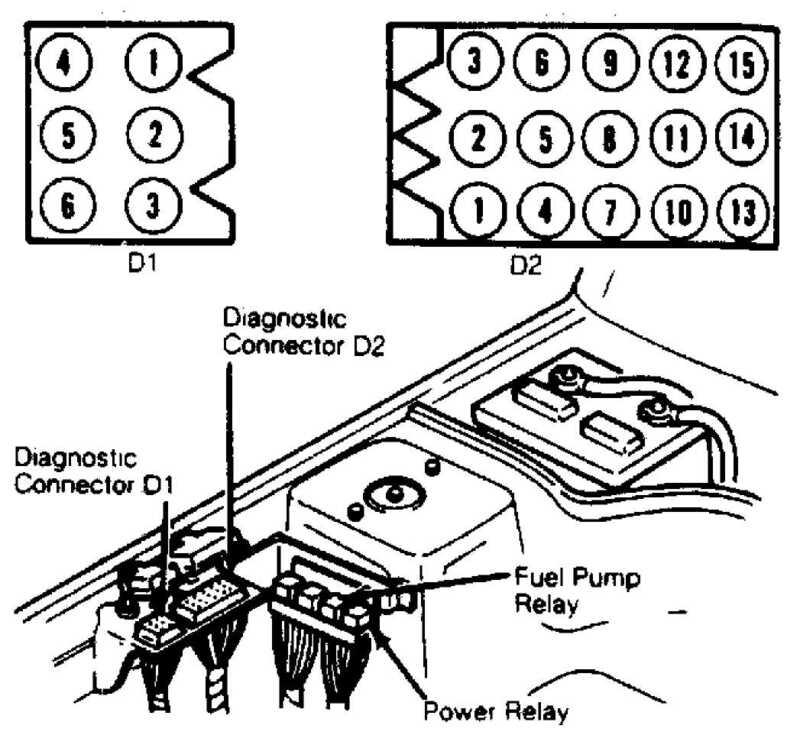 Connect tachometer negative lead to diagnostic connector terminal "D1-3" and positive lead to connector terminal "D1-1". See Fig. 2. Turn ignition off. ISC plunger should fully extend. Fig. 2: TBI Diagnostic Connector & Terminal ID Courtesy of Chrysler Motors. not, turn plunger hex head to obtain 3500 RPM. See Fig. 3.
occurs, check linkage and/or cable for binding. Fig. 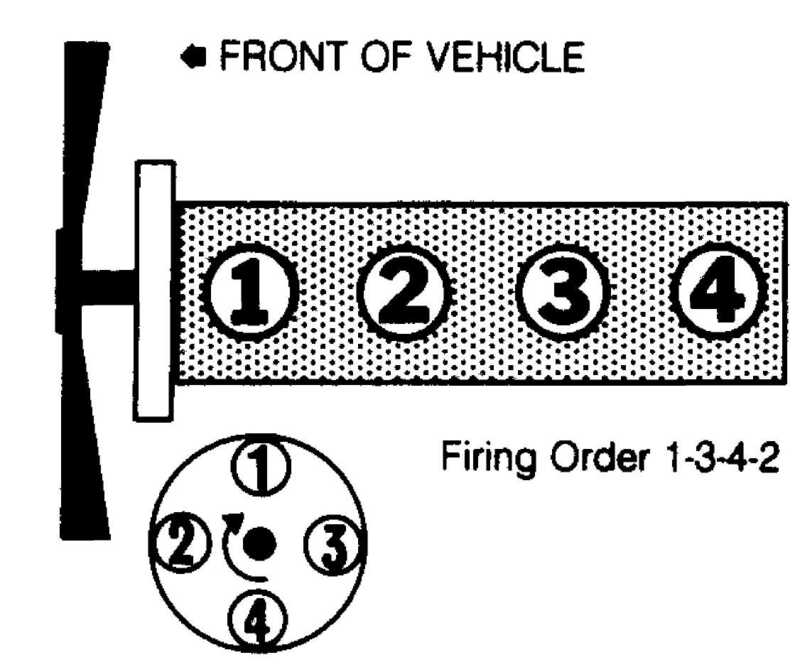 3: TBI Idle Speed Control (ISC) Motor Adjustment Courtesy of Chrysler Motors. 4) Connect ISC motor connector. Turn ignition off for 10 seconds. ISC motor should fully extend. Restart engine. Engine speed should momentarily be about 3500 RPM and return to idle speed. Turn ignition off and disconnect tachometer. Apply sealant to adjustment screw threads. Install air cleaner. NOTE: Holding plunger inward may create an intermittent trouble code in ECU memory. To clear ECU memory, turn ignition off and disconnect negative battery cable for 10 seconds. NOTE: On some models, it may be necessary to remove throttle body from intake manifold, to access sensor wiring harness. connector. Connect negative voltmeter lead to terminal "D" and positive voltmeter lead to terminal "A" to check input voltage. DO NOT disconnect TPS connector. 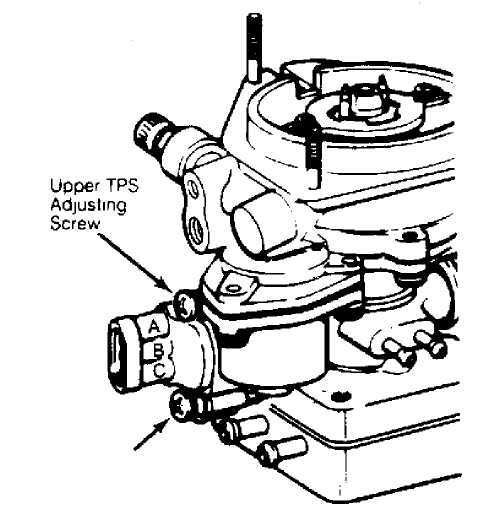 is not within specification, loosen TPS retaining screws. Rotate and hold throttle plate in wide open position. sensor terminal "C" and connect it to terminal "A". small adjustments and lower screw for large adjustments. if specified output voltage cannot be obtained. Fig. 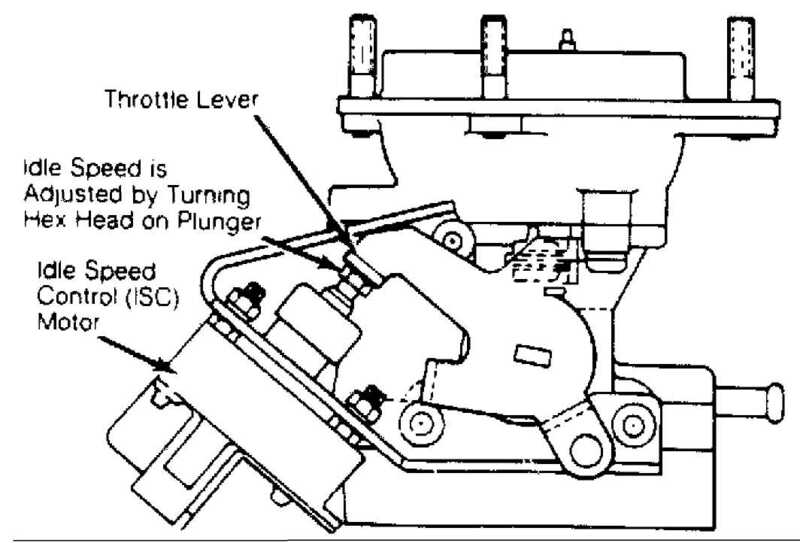 4: Adjusting Throttle Position Sensor (Man Trans) Courtesy of Chrysler Motors. NOTE: Fast idle is not adjustable on TBI models. All models are equipped with Renix solid state ignition. The 2.5L engine with TBI uses an electric fuel pump located in the tank. All 2.5L engines use a Delco-Remy 10SI or 12SI alternator with integral regulator. All 2.5L models use Delco-Remy nonadjustable regulators, integral with alternator. (1) - Adjust new P/S belt to 120-140 lbs. (54-64 kg).